- WABC Diplomats have participated in three or more WABC biennial educational conferences since 1990. 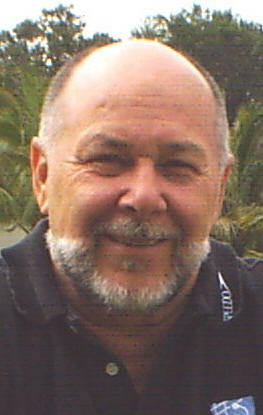 - has been a presenter/speaker at a WABC biennial educational conference in a named year(s). Working with students of all ages and from pregnancy all the way through adult aquatic therapy. Play and pleasure are ways of living and learning. Respect for the child, for adult learning time, and limits that give freedom yet security. Growth through opportunities instead of obligations. 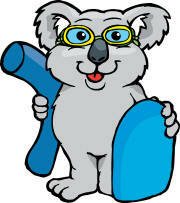 Aquatic Achievers Swim School specialises in teaching babies through to stroke correction and squads. Our innovative Solo-1 teaching program advances skills in easy, achievable progressions. The pinnacle of our SOLO-1 program is for children to swim One Kilometre unassisted. Internationally acclaimed programs, great teaching staff, and exceptional service. 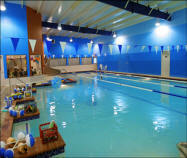 A unique swim school in the Northern Suburbs located on farm like acreage. Teaching babies from 6 months through to squad level. Our programs cover a range of aquatic abilities. 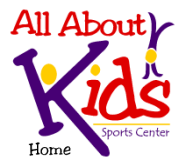 We have programs for infants, toddlers, pre-schoolers, beginners, advanced, squads and adults. instruction for babies and young children at various locations. · 0 to 6 months: adaptation in the water and the awakening of his first floats. · From 6 to 12 months: his first start of water skills and survival reflexes. · From 13 to 36 months before the child anything that walks, learns to coordinate and navigate, discover the pleasure of their autonomy, wisdom conquest in the water. Happy Family Time Parent-Child Swimming Club is the first one, to introduce the swimming programs for 0-12 years old kids in Beijing. Our members cover from new born babies to primary school children. We offer a safe, clean and warm aqua environments for parents and kids to spend the best quality time here and learn swimming skills from their early ages. It's a lovely swimming school located in a Golf Course with beautiful environment. Our service is mainly for children from 0 to 6 years old. 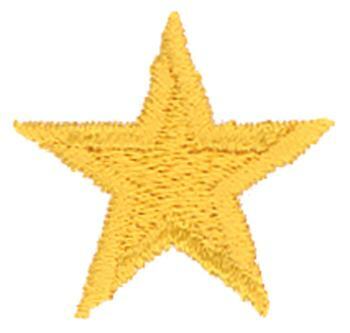 Our teachers have certificates from Birthlight (UK), BvAP (Germany), and AUSTSWIM (Australia). Best water quality shows our commitment to contributing to children's health and well-being. 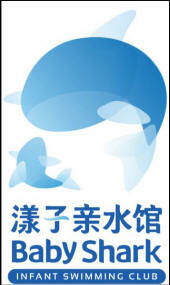 Beijing WhaleWorld Education Consulting Co., Ltd.
Beijing, Tianjin, Xi’an, Taiyuan, Wuhan, Chengdu, Chongqing, Suzhou, Hangzhou, Shijiazhuang, etc. High-Five Parent-Child Swimming Club focuses on the education of children from 0-6 years and their parents. It’s the very first professional organization in China on parent-child health education and bilingual baby swimming. It also has the most consummate curriculum and service system in China. Obligatory courses as baby swim, gym, aqua yoga and elective courses as kendo, boxing, ball games and dancing are all available. 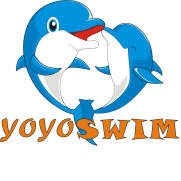 Yingleshi Baby Swim provides baby swimming venue and infant swimming teaching. We pay much attention to the parent-child relationship and personality development of children. Beijing yingleshi education technology Co. Ltd.
We are the first Infant Swimming Pool in China! Learning to swim can be one of the most rewarding experiences of childhood.It is a celebration,a rite of passage,and a gift of freedom. Reintroducing your baby to the water at a young age makes perfect sense- after all,your little swimmer was surrounded by water in the womb for nine months. Waterducks is the first professional baby swimming workshop in western china. We are expecting your coming!.. Changchun Yoyoswim Early Learning Advisory Co., Ltd.
Yoyo Swim is the first parent-child swimming institution in the Northeast of China. We are located in Jilin Provence. Certified by Swimming Teachers Association (STA). 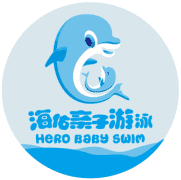 Hero Baby Swim / eHaiyou Culture Comunication Co. Ltd.
We are an integrated parenting swimming center dedicated to swimming training of children aged 0-8, parenting experience and early childhood education. Based on "Montessori" thought, following children's developmment, we contribute a "parenting, swimming, early education, English" comprehensive multi-dimensional environmnent and bring a new and advanced swimming early childhood experience. We always adhere to the service maxim of "safe, comfortable, professional and happy". Aquaberry is specialized in parent-child swimming in China. We have already been in baby swimming industry for two years. At present, headquatered in Suzhou, we have seven swimming clubs located in Haikou, Xi\'an, Nantong and Zhengzhou in operation. Baby Shark is focused on children ages from 0 to 6 years old. We have been in this baby swimming industry since 2013. We have a parent-child swimming program for children age from 0 to 3.5 years, and baby shark program for kids age from 3.5 to 6 years to actually learn how to swim. Come and check us out in Xiamen, you will love us! Swim instruction for babies 6 months old through 4 years old. Small parent-child classes held every day! We have more than 8 years of teaching parents and 6000 babies. Bundesverband fur Aqua Padagogik e. V.
Niko invented "Aquamics" which combines baby swimming and rhythmics (rhythm). She is the author of "Baby Swimming", "Baby Swimming and Aquamics"
We DSA truly believes it is possible for a young babies as young as 2 weeks old to be taught skills that will give them a fighting chance in the event of an accident. Early swimming lessons have been documented to potentially increase a child’s mental capacity, intelligence and concentration while also having positive effects on social, emotional and physical development. We are raising a new generation of fun-loving water sports enthusiasts by offering a wide range of programs and activities to meet the ever-changing demand in Malaysia. We inspire to both the very young and the young-at-heart. 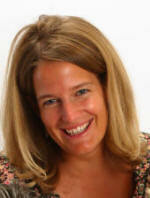 Teaching babies with parents, preschool, school age and adults. Bebés, Niños, Damas, Acuaeróbics, Clases Individuales, Nado Libre. Babyswimming classes from 2 months old up to 6 years. 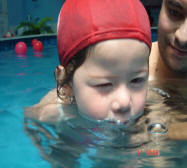 AquaBabies, AquaKids, AquaTech, AquaFitness instruction and training. learn to swim for infants through adult. 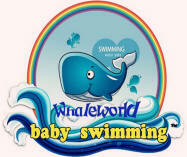 Infant swimming, baby swimming, swimming lessons for children and adults, water gymnastics, and aqua aerobics. A beautiful and friendly aquatic baby club specializes in one-on-one private swim session where each instructor respects the learning time and personality of every student in order for him to grow and evolve in safety swim skills, swim coordination and swim stroke technique. 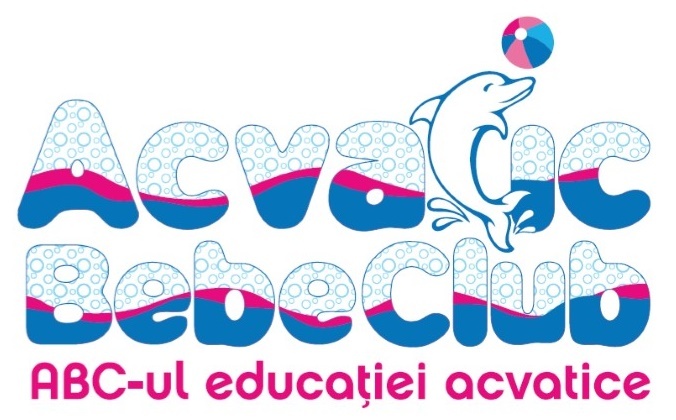 Acvatic Bebe Club offers goal-orientated lessons for babies as young as 4 months up through 6 years of age with parents being in the water for the first accommodation lessons. The pool water is free of chlorine and has an average temperature of 32 degrees C.
and adult beginners/advanced. Competition too. Internationally recognized. Low student teacher ratio. SwimSafer Programme for children who are 6 months old and older. Also offered is the Swim Master class for adults which is intensive swim training workshop designed to correct your swim strokes, generate greater propulsion, reduce drag, and increase swim efficiency. We started in 2006 as successful swimmers, swimming coaches and teachers. We have our own small pools intended only for swimming lessons of the youngest children. We have developed a methodology for teaching swimming of the youngest children with respect to physiology and developmental psychology. Our strengths are approved by growing numbers of our clients: From the first 72 children in 2006 we got to around 600 children a month. Our nationwide Association of Water Babies started operations in 2012. Its objectives were: To bring together legal entities and single persons dealing with swimming of babies and young children. To develop accredited training program for instructors. To open accredited education. To inform parents about the benefits of these activities for children. To invite experts and to increase the educational level of our instructors. To assist in creating legislation based on experience. 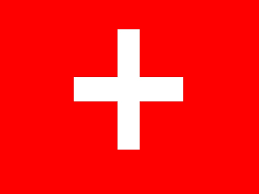 First Flow ist die grösste Anbieterin von Baby- und Kinderschwimmkursen in der Schweiz. Mit der bewährten und erfolgreichen Methode Augsburger ® bieten wir Babys und Kleinkindern einen optimalen Start ins Leben, Freude am Wasser und eine gestärkte Eltern-Kind-Bindung. Kleine Schwimmer werden bei uns einfühlsam und individuell gefördert. Und das bei grösstem Badespass. First Flow Kurse gibt es fast überall in der deutschsprachigen Schweiz. Trained in USA on preschool infant training and development. Have been working in different areas connected to children for 20 years. With a soul of an entrepreneur and the love for children, I have witnessed the greatest memories for 7 years as the first labor photographer. Teaching fundamentals of swimming and water safety training. I have established branches in 10 different provinces as Aquababies Turkey franchise representative. I am the trainer for the swimming trainers of 0-5 year olds. Programmes offered include Pregnancy Aqua-Natal, Baby, and Toddler classes. Classes at Wimbleton College Sports Complex and Burntwood School. Students: 4 months to 36 months with parent/adult caregiver, children of all ages and levels, as well as private lessons for adults. March-October program. Student ratio of 1:3 for younger children; 1:5 for older swimmers working on strokes. 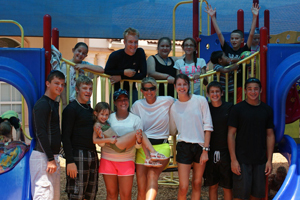 Open year round - swim lessons, swim team, special training and camps. See website. Opens for the season in May - CALL TODAY! Year-round school that provides professional, goal-oriented swim lessons for all ages and levels, developing life-long competency and a life-long love of swimming. 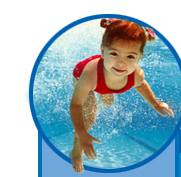 Swim Synergy strives to save lives by offering effective water safety instruction for infants, children, and adults. Specializing in one-on-one private swim lessons that are custom tailored for every student. Water Safety is our #1 Priority. Our instructors travel to you and accomodate with flexible scheduling. 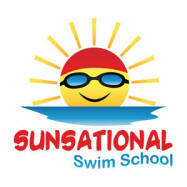 Sunsational Certified Instructors create personalized lesson plans for your child. 100% Satisfaction guaranteed. Locations nationwide! See our website for instructors near you ! one swimmer at a time! Clairemont location and also.. yes, we can come to you & your pool too! We'll get them in, they won't want to get out! Group lessons are offered for babies as young as 2 weeks up through 3 years of age with parents being in the water. Private lessons are available for all ages through adult. Great beginnings lead to great finishes! Blue Buoy Swim School offers swim lessons for children, teens, adults in Orange County, California. Offereing public and private swim classes with a great tradition since 1956!!! Instruction for children and adults in a comfortable warm setting. 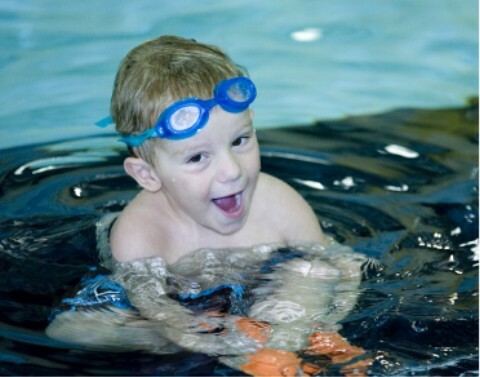 Provide pediatric aquatic therapy and swim lessons for children with sensory/motor issues, as well as hands-on training and training products for swim instructors and parents who wish to learn how to effectively teach swimming to children who have these issues. DeBary Swims specializes in survival swimming techniques for ages 6 months to 6 years of age. We offer private lessons in your own home or at our private facility as well. 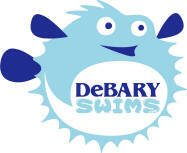 DeBary Swims is based out of DeBary Florida and also services Deltona, Orange City, and Sanford. Survival to Stroke Fundementals specializing in in swim lessons that are custom tailored for each student's needs and the goals of each parent. 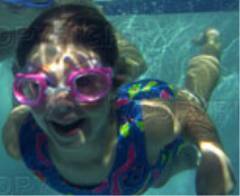 Year round PRIVATE swimming lessons in a heated pool for babies & children 6 months and older. Teaching students aquatic survival utilizing our swim•float•swim method. 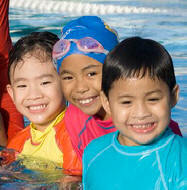 Year-round aquatic programs designed for students of all ages. We instill independence and self-confidence through the joy of swimming. 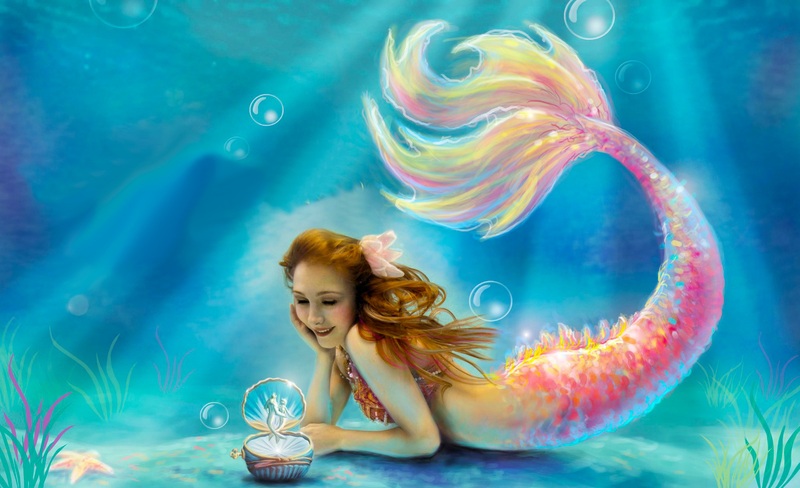 Get the professional kind care in learning to swim well with Amanda and The Mermaid Nook! Call Today! A Swim Lessons University affiliate. Instruction for babies and children. Dynamo Swim School is simple, goal motivated, and technique based. Offering Comprehensive, Private Swim Instruction for children beginning at 8 months. Simple, goal motivated and technique based. The program is a logical progression of swimming skills that teaches a child or adult to swim correctly and efficiently. 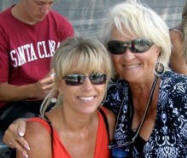 Private, Semi-Private, Group & Mommy & Me classes for all ages. Year-round indoor facility, small class size, warm water, flexible start date. Developing confident, enthusiastic and motivated swimmers. 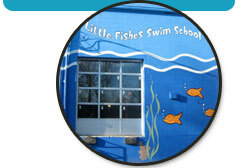 Fun Fins Swim School offers a warm, safe, and creative environment...child centered program. "We put the FUN in learning to swim"
All ages. Infants, toddlers, beginners, advanced and recreational swim team. "Specialized Infant Programs 2 mos to 2 1/2 yrs"
Small groups of 4 or private available. Instruction for parent & child classes 6 mos. to 3 yrs., as well as for 3 year olds and up on through 9 year olds - including competitive strokes, starts, and turns. Year round instruction for babies and children in unique swim instruction facility. Teaching and coaching swimming since 1973. Offering year round private and small group classes for ages 6 months to adult, ranging from the very beginner to the swimmer preparing for / contemplating joining a competitive club. Special needs students are welcome. Take Me To The Water swim school was established in 1984 with the goal of providing water safety education in the finest, nurturing environment. We consistently achieve excellent results using our customized method that consists of four proven criteria: 1) Curriculum built around having fun through personal challenges, 2) screened and experience instructors, 3) classes taught in luxurious private setting, and 4) small class size. Caring • Dedicated • Effective • Fun! Established in 1984 with the goal of providing water safety education in the finest, nurturing environment. We consistently achieve excellent results using our customized method that consists of four proven criteria: 1) Curriculum built around having fun through personal challenges, 2) screened and experience instructors, 3) classes taught in luxurious private setting, and 4) small class size. Where the school comes to your pool. Infants through adults. 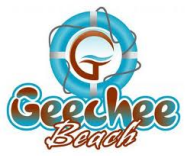 Lifeguarding for parties, PADI scuba programs fro 8 yr olds through adults, underwater photography, and adapted aquatics. 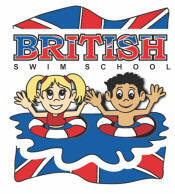 Indoor year round instruction in a warm water pool by excellent experienced teachers. Parent-Tot, private, semi-private and stroke technique lessons. Since 1991. Small group instruction for babies (6 months up), toddlers, and children of all ages. Swim, survive, thrive! Infant, toddler, kids and adapted swim and aquatic programs. More information on our website including enrollment. Two locations - family fitness center and a health & racquetball club. Instruction for babies 3 months, children and adults. Swim Instruction for 6 months+, children & adults. 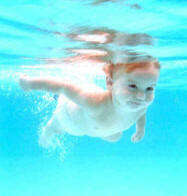 Offering our swim classes to babies and toddlers from 6 months to 4 years. Our gentle philosophy works best! Also offering lifeguarding service for your pool party. Year round aquatic program for 6 month olds through adults preparing participants for a lifetime of water pleasure. 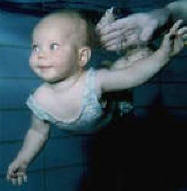 Waterbabies uses a gentle, loving, child-centered approach to teach water adjustment, safety and basic swimming skills. We use songs and games to introduce these skills because we believe play is learning and learning is play. Year round instruction for 6 month olds through older advanced children. Year round group lessons for infants six months of age to all the way up to adults - private lessons also.